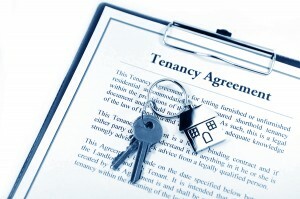 What are my rights as a landlord/tenant? Whether you are a landlord or a tenant there are several things to consider. Both parties need to know and understand the basics of renting out a place like how to collect or pay security deposits, the basics of fair housing laws, and much more. If you are a landlord, you may need help working out tax deductions or determining how to evict a non-paying tenant. If you’re a tenant, you may need help understanding their rights to tenant safety, the return of security deposits, and if you can sublet or be evicted. Most landlords require the payment of a security deposit prior to moving onto the property. The security deposit does not count as paying last months rent and should be repaid in full, minus any deductions or repairs and costs associated with cleaning, within 45 days after the tenant provides in writing their new address to the landlord. The landlord may also deduct any unpaid rent from the deposit. The landlord is not permitted to deduct what is considered normal wear and tear of the property. There are many more rights that both a landlord and a tenant have. If you believe that your rights are being infringed upon, Mathewson Law P.C. will explain to you what is legally justified and what is not.